Winter logging is already hit or miss with the wet weather shut downs. This year is off the charts. Trucks parked with no place to go has been a pretty common sight this season. 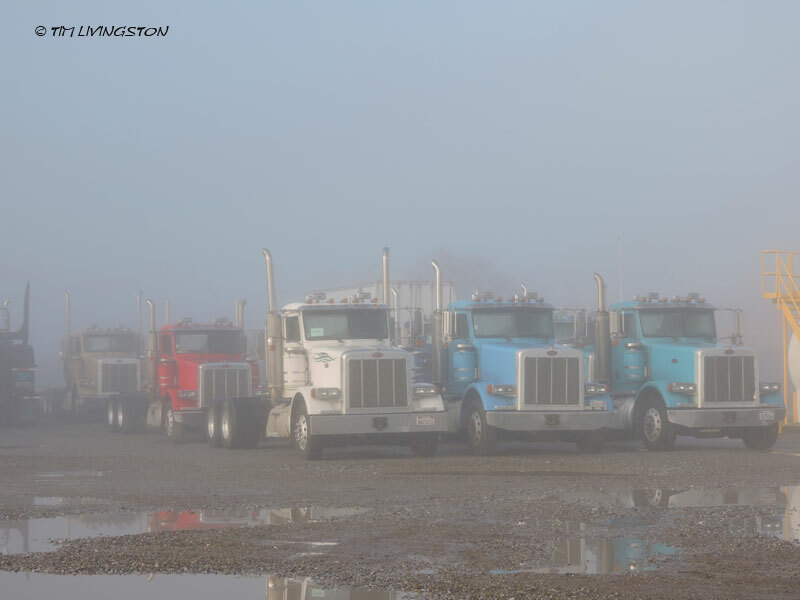 Logging trucks in the fog. All fueled up with no place to go. This entry was posted in Forestry, photography and tagged fog, loggers, logging, logging truck, photography, winter logging by foresterartist. Bookmark the permalink. Crazy winter. We have another 6 inches of snow here this morning. On March 10th? Seriously? Some of our best weather is in the winter. Not this year.